A fun adventure to expose children to continents, countries, people, and cultures. is always our main Goal! What is Little Spanish Bridge? Established in 2014. Unplug and imagine. We believe that children are explorers, inventors, learners. All it takes to unleash their imagination is a fun challenge. Little Spanish Bridge gives babies and children the tools and the space to make up their own game. Encouraging inventiveness, problem solving skills and creativity: essential skills for now and the future. We stand for 100% unplugged and offline learning fun. 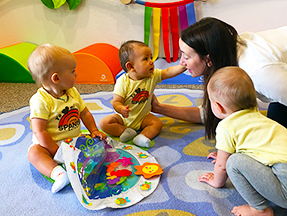 We have developed an innovative enrichment and early stimulation program for infants, toddlers, older kids and their parents. Our classes are offered in our studio in Edmond (very close to OKC and easy to get to). See you there. 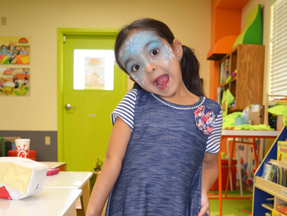 We also offer full Spanish immersion program, mommy and me, after-school, and summer programs.Little Spanish Bridge is a private intellectual studio where kids get exposed to activities that stimulate your kid's sense of sight, sound, touch, taste, and smell. This early stimulation can help improve your child's attention span, memory, curiosity, and nervous system development. 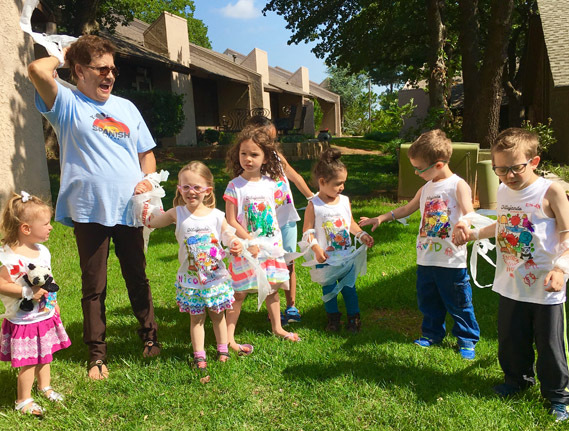 Furthermore, Little Spanish Bridge is a full immersion foreign language (Spanish) studio where you can find the perfect enrichment program for the entire family! We have you all covered; from babies, toddlers, preschoolers, school-age kids and even the adults. 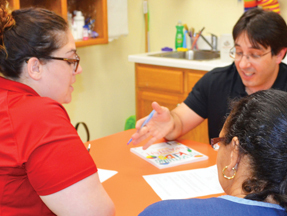 We bring stimulating and brain-powering classes held 100% in Spanish. 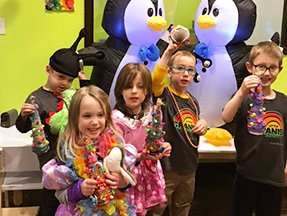 Classes full of joy, creativity and excitement for the little ones and for the entire family. "Making the decision to use Little Spanish Bridge was one of the best choices my husband and I could have made for enriching our child's education." "Let me start by saying that it's not possible to express in words how much I think of this program and Angela and what she does. I feel blessed to have the opportunity to allow my child to attend this Spanish class."